This's our first Blog Hop Wednesday of 2012.Last time i missed to post my partners recipe,due to Holiday season.So,here am posting this month blog hop recipe and last month recipe! !I have been paired with Jabeen of "Janeen's Corner"..She's one of my good friend...We know each other when we were in Phoenix! 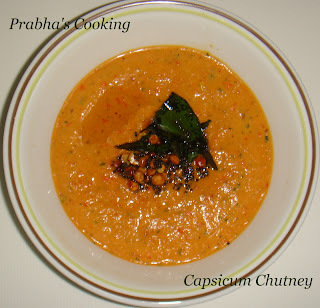 !I tried Capsicum chutney from her blog.I wanted to know how would be the taste.Taste was really good..My kid liked a lot :) So,you too try this and enjoy!! Heat oil in a pan,add and fry the channa dal and urad dal till gets golden color. Add green chilly and red chilly ,and fry. Then add onions and capsicum ,fry till gets soft. Add Cilantro in to it. Allow to cool,then blend in to a fine paste. 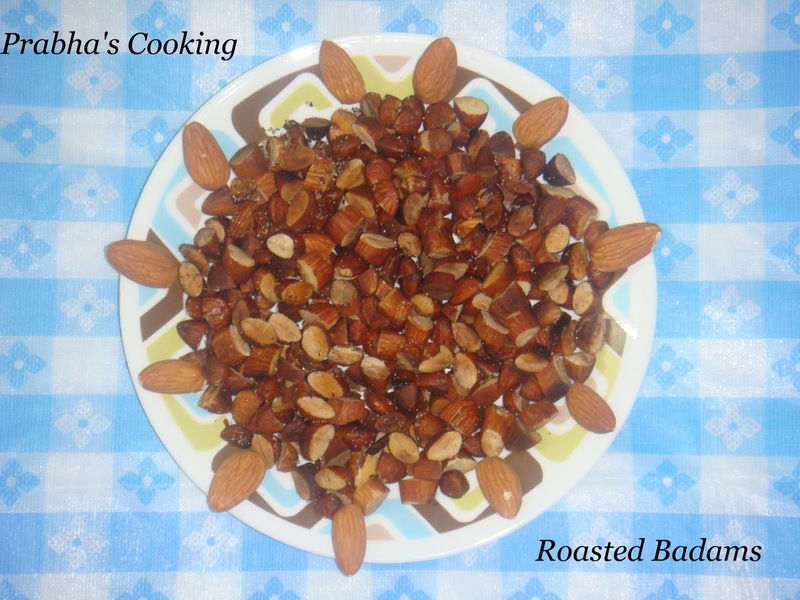 For this month i paired with Kokila of "Foodies Nest".From her blog i took a very simple and healthy dish.Almonds are good for health right..Generally we use to take some soaked almonds in empty stomach, after removing their skin..My kid eat Almonds in that form only! !When i saw the recipe,i just wanna to try for my kid..we all liked it!! The taste similar to roasted peanuts only..
Then add the Badams and fry in medium flame,roast till get golden color. After that put,salt and pepper to taste,mix it. That's it,crunchy Roasted Badam's ready to munch!! After roasting i transfered the nuts in to kitchen towel,to avoid excess oil.This's totaly optional,you can enjoy with little oily . 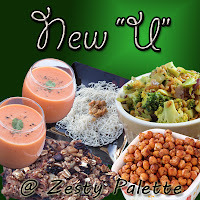 Linking both the recipe to Radhika's "Blog hop Wednesday Version 2.0" and Vardini's "New U"
Chutney looks delicious...Roasted badam makes a healthy snack for kids...Lovely recipes.. 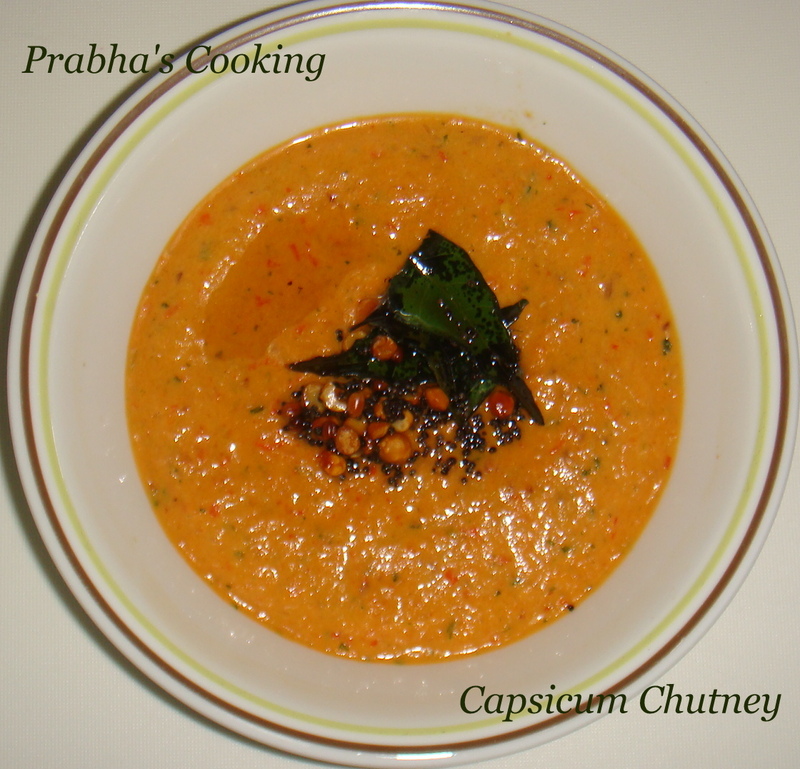 Both chutney and roasted badams makes me drool, feel like munching some badams. Chuttney looks great.Badam is a crunchy and healthy. Nice and colorful chutney and roasted nuts are my favorite too. Thx for linking to the event.